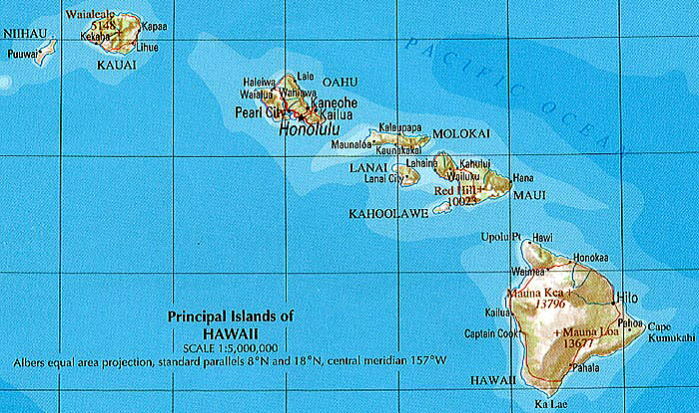 Hawaii is the newest of the 50states and the only state made up entirely of islands. of Japan and northeast of Australia. Honolulu of the island of Oahu is the state capital of Hawaii. Population of the state estimated about 1,300,000. 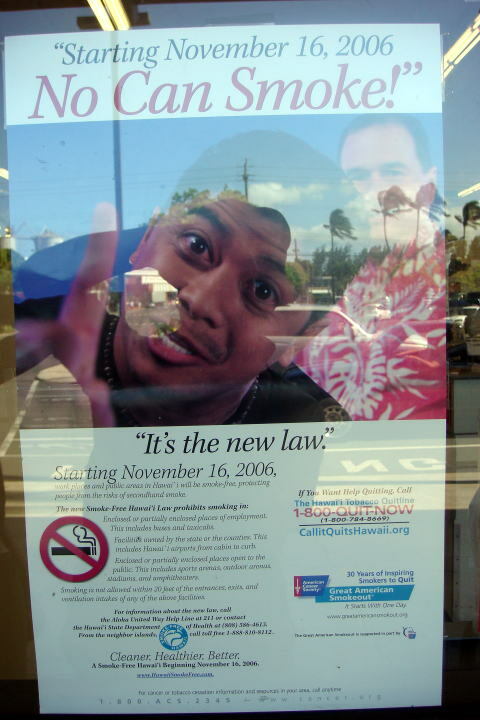 An information board announced the 'Cleaner,healthier, better smoke-free Hawaii' beginning November 16, 2006. This poster was photographed in March 2007 at the shopping mall at Kahului, Maui Island. 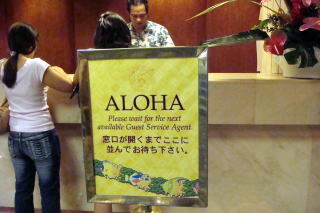 (L) In Hawaii, English and Japanese are the two important languages for touring the islands. by American President Line. Hawaii was the place to stop over on the way to San Francisco, the destination. to outside the own country. 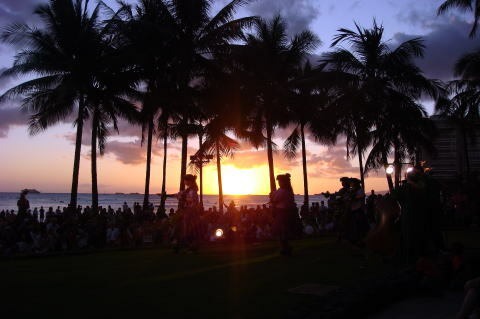 Therefore, we met no Japanese tourists in Honolulu. It was in June 1960. 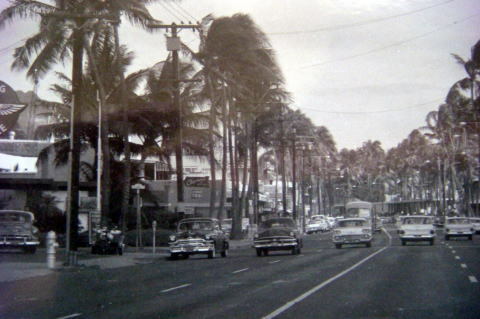 Honolulu, Hawaii in 1960. (L) A palm street near the Oahu Port. 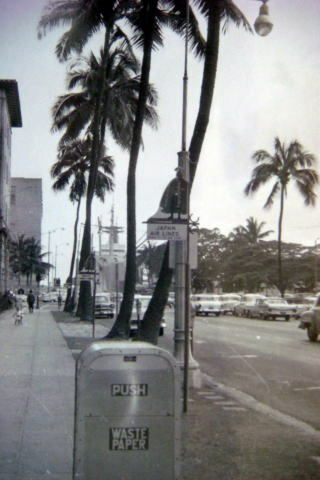 (R) Kalakaua Avenue, Waikiki Beach. Photographed in June 1960 by Junhaku Miyamoto,MD. 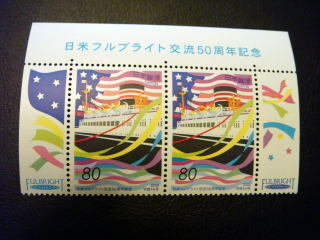 In April 2007, 47 years has passed since the time we first landed in Honolulu. Everything is so different. Now, Boing jet aircraft carries 480 passengers in about seven hours. Almost all passengers are Japanese. The photographs were taken in March 2007, except for the picture taken in June 1960. This article was written in April 2007, last revised in November, 2013, by Junhaku Miyamoto, M.D., PhD.